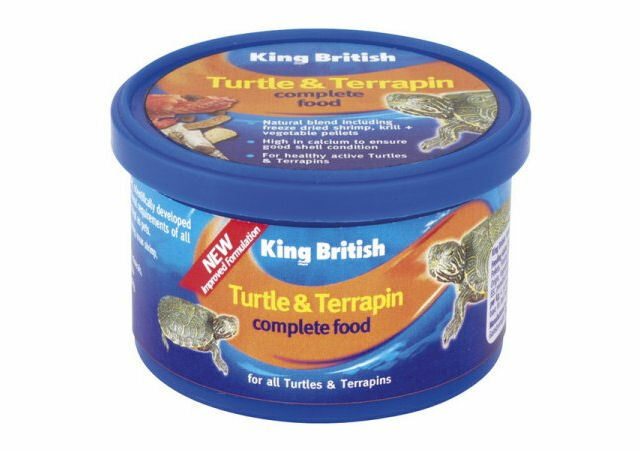 King British Turtle and Terrapin Food 80g | Livefood UK Ltd.
King British Turtle and Terrapin food is a nutritious blend including food pellets (50% min), and a mix of freeze dried natural ingredients including krill (8% min), gammarus (12% min) and shrimp (22% min). Natural ingredients are subject to seasonal variations and may differ in colour and size. Feeding Guide: Feed sparingly twice daily. Do not overfeed. With antioxidants and coloured with EC additives.